Bubby and Bean ::: Living Creatively: GIVEAWAY // Win A $100 Gift Card to Gaia Conceptions! 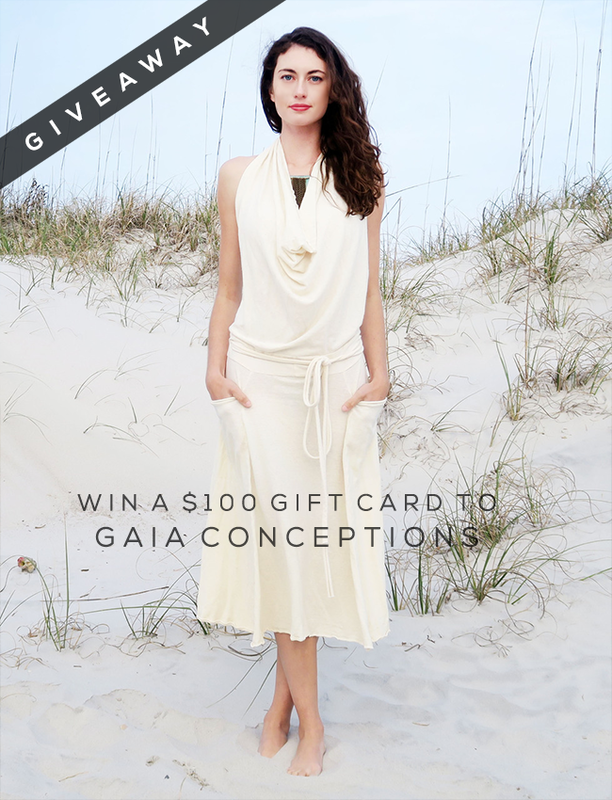 GIVEAWAY // Win A $100 Gift Card to Gaia Conceptions! Yesterday was the first official day of summer, and we think that's reason to celebrate. So we are teaming up with our pals and long time Bubby and Bean sponsors Gaia Conceptions once again for another incredible giveaway! They are giving away $100 to spend in their online shop, which (as you probably know by now) features some of the most beautiful eco-friendly clothing around. They have hundreds of styles to choose from, each one of which is custom created to your size, color choice, and fabric selection. Both Essley and I are proud owners of several Gaia pieces. And now one lucky Bubby and Bean reader is going to get a $100 gift card to spend on Gaia Conceptions clothing of your very own! This giveaway will run through June 29, 2016 and is open to Bubby and Bean readers worldwide. All entries from the Rafflecopter form above and Instagram will be combined. A winner will be randomly chosen via Random.org and announced here shortly after the end of the giveaway. UPDATE: Congrats Katie Woodrow! Please email us to claim your prize. Big thanks again to Andrea and friends over at Gaia Conceptions for giving our readers the chance to win another gift card to their amazing shop! Good luck! What a fantastic giveaway! Thank you Bubby and Bean!! I am in love with the new A Little Lace Simplicity Short Skirt - I'd wear it in any color! I like the beach bum hoodie short fleece dress! Great Giveaway! I really like the Side Petal Long Dress, but really there are so many it's hard to choose!! Love the princess seam below knee dress. The Dip Dye Wanderer Mini Skirt! SO CUTE!! I love that you two are teaming up for another sweet giveaway!! I graduate from Grad school in August and am keeping my fingers crossed that I might yet get to purchase the Bell Sleeve short dress that I've been lusting after for a couple years to wear to the ceremony! 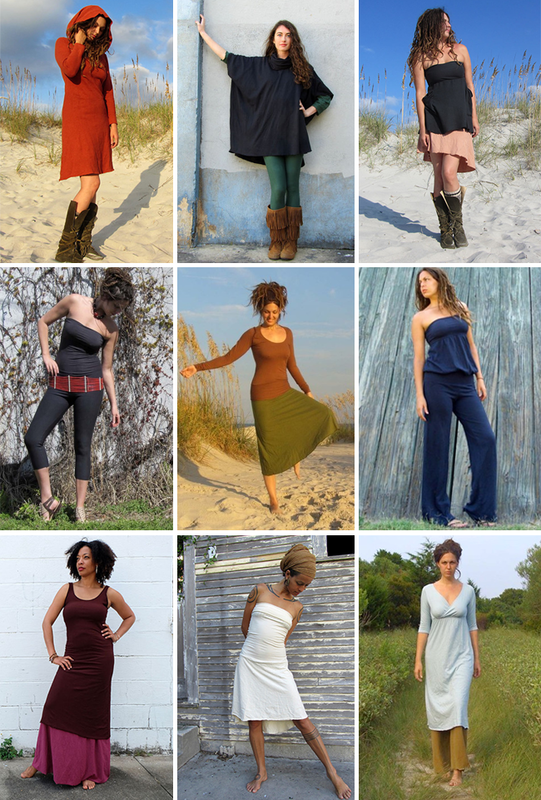 I'd love to get the Apron Wrap Long Dress! It's beautiful and perfect for what I'm assuming will be quite a hot summer in Chicago. Love your blog girl!!!! I love everything about this brand, such an amazing ethos and the most beautiful clothes! I love the Circle Long Dress. Thanks for the giveaway! I love the floating tube wanderer pantsuit! I love the Chuba Long Skirt. i lovelove the crescent princess seam short dress! looks perfect for summertime, & so beautiful!